Underage DUI in Florida occurs when a someone younger than 21 (the legal minimum drinking age) is accused of driving under the influence of alcohol. The law allows for certain enhanced penalties when an allegedly impaired driver is under 21 and holds them to a more stringent standard. While the per se limit of alcohol impairment in Florida is 0.08 grams of alcohol per 100 milliliters of blood, per F.S. 316.193, those under 21 may face license suspension and fines for having a BAC of a mere 0.02, per F.S. 322.2616. A person who is under 21 with a BAC of 0.08 or higher could face charges under both statutes. A college or high school student charged with DUI in Florida may also face disciplinary penalties at school. 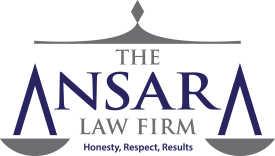 At The Ansara Law Firm, our Fort Lauderdale DUI defense attorneys recognize know the impact these charges can have on young people. Some parents may be inclined to let their teens or college-age children face it alone, chalking it up to a “lesson learned.” The problem with this is the fact these charges can have a lasting effect on a youth’s future. We are dedicated to helping young people preserve their future and fight against unfair charges and harsh penalties. Request they submit to a breathalyzer or blood test to ascertain their bodily alcohol level. If their blood-alcohol level is between 0.02 and 0.07, it is a violation of F.S. 322.2616, which imposes an administrative license suspension. This is not a traffic infraction. It’s not a criminal offense. Being detained for this offense doesn’t constitute as an arrest. However, it can greatly impair the young person’s ability to commute to and from school and work, and will remain part of their driving record. Additionally, it can result in higher insurance premiums (something parents are often keen to avoid). The suspension goes into effect immediately. BAC of 0.05 or higher – Suspension stays active until youth completes a substance abuse evaluation and education course. Potential requirement of alcohol and/ or substance abuse treatment. Higher punishments will be imposed for higher BAC levels, as well as prior convictions and crashes that result in property damage or serious injury or death. For those under 21 charged with a violation of F.S. 322.2616, the officer will seize the driver’s license and in return provide a temporary driving permit. That permit will be valid for just 10 days. The young driver can (and should) request a hearing with the Bureau of Administrative Reviews, a branch of the Florida Department of Highway Safety and Motor Vehicles. Witnesses may be required to attend and submit to questioning under oath by your DUI defense lawyer. If you do not request a hearing within those 10 days, the youth will no longer be allowed to drive, until the requirements of F.S. 322.2616 are met. Parents who are mulling whether to hire legal counsel for their child after the incident should understand that there may be nothing stopping them from imposing their own driving restrictions, particularly if they are in control of the young person’s vehicle, car payments or insurance. However, an administrative suspension of this nature can result in a spike to your own insurance costs, not to mention it may remain on your child’s driving record.